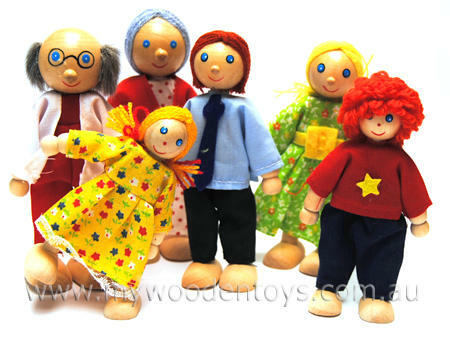 Wonderful for imaginative play these 6 dolls allow your child to role play all sorts of family situations. Our price is for all 6 dolls. Material: Wood with cotton clothing. We like this because: "This family has little brothers and sisters."